Have to practice the advice and routine you recommended..
“Mariga at Skin Essentials has been my go to skincare advisor for over 6 years and in that time, she has transformed my skin with a combination of Skin Essentials products and treatments. I can honestly say that I love how my skin looks and it looks better now than it did ten years ago! Both Mariga and Jane are absolute experts in all things skin related and, between them, have come up with answers for anything that I have put in front of them. I love knowing that I don’t need to worry about my skincare – I just present myself to Mariga and everything is taken care of. The Skin Essentials products are world class and Mariga is always ahead of the curve with new treatments. Just to let you know my Gran stopped using the prescription creams and started using the skin comfort oil. At last her skin is almost fully cleared up. I now know it’s a Sunday but I can’t contain the excitement to wait until tomorrow to mail you and let you know the amazing results that I can already see after my fabulous treatment yesterday. 11 lines are definitely softer looking. Already looking forward to the next one. “I am delighted with the results of the facial, I can’t believe the difference the last few days! My skin looks amazing. I have attached a pic from today as I forgot to take yesterday. Just realised since I started using your products and had one treatment with you. I haven’t had milia in a long long time!.. and for the past 13 years I’ve always had a minimum of one and usually more!.. ???? Go skin essentials ?? My lovely package of skincare goodies arrived in the post today, as speedy as ever!! Delighted with them, skin feels better already! 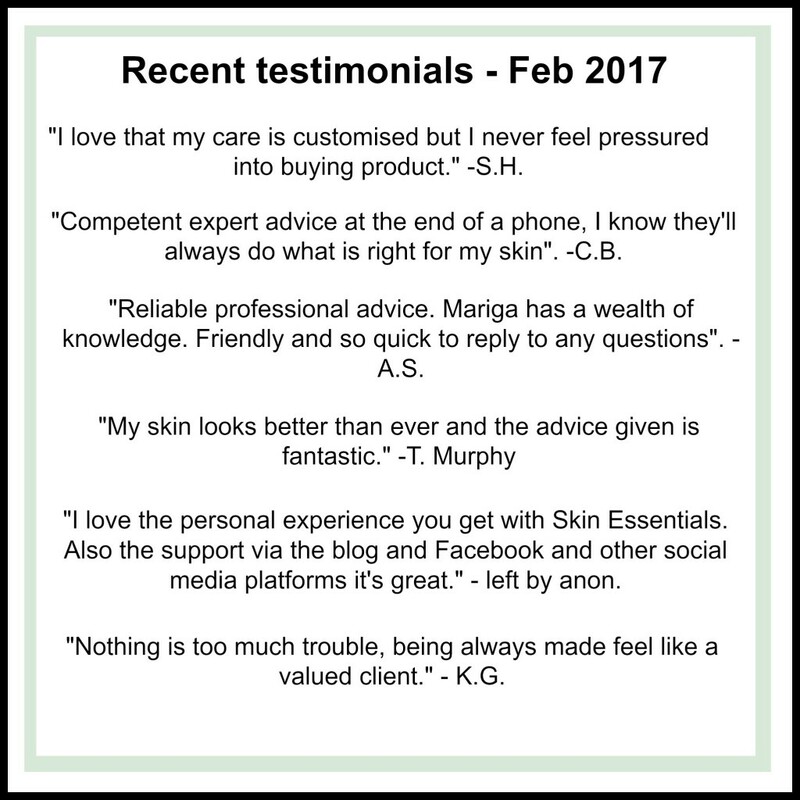 I have been a client of Mariga’s for many years and have been using Skin Essentials products from the beginning. Being a client of Mariga’s I never have to worry about my skin as I know exactly what is in the Skin Essentials products and that they work for me. The service that Skin Essentials provide is second to none. Having a treatment done is always a relaxing and restful experience. In addition Mariga and her staff always provide a generous amount of time and information along with advice on skin care also any treatments and products. Skin Essentials service provides a professional and personable experience and is continuously adding new treatments and products for clients. It is a service that I cannot imagine being without and am so grateful to Mariga for providing it. I have been using your products for two weeks now and already I have noticed a difference. The redness on my cheeks has reduced significantly and the general overall tone of my skin has become more balanced (uni-colour). I continue to have a few spots, especially around my chin area but they are not as large or sore as before. I still have many old “craters” as I like to call them. These are the remnants of old spots that I had. So in fact new spots are much reduced in number. I am happy with my skins progression and will continue to use the products as per your instructions until we meet again in January. I have been using Mariga’s products for over a year now and am so delighted with them! I have finally cleared up my spots at the age of 32 and my skin looks good. The products are great value and last for ages too. Thanks Mariga!! I started using Marigas products two years ago. Before I started using Mariga’s products I had dry, sensitive skin which was extremely easily irritated. I had acne also and my face was very red and very painful. A few months after I started using Mariga’s product my skin was clear and two years on I only get the odd hormonal breakout. My skins no longer painful, red or sore. I have never looked back. Mariga’s products are fantastic on my sensitive skin, its now clear and glowing (I don’t need to wear makeup to cover my skin anymore and I am now proud to do it!) Mariga really knows her stuff and she will always go the extra length for her customers. I also find waxperts by Jane a brilliant service. It’s basically pain free and Jane is fantastic also. I cant recommend the products and the services enough, Im very happy with them! I heard about mariga through a beauty blog, and contacted her at a period when my skin was in dire straits. Hormonal outbreaks of spots had got so bad, it was like being a teenager again. On top of that, my skin looked dull and grotty. I sent mariga photos and details my conerns, and she laid out a plan of action. Now, coming up for a year later, i am delighted with the results. Very quickly my skin settled down so that now I get very few spots, and of much less severity. My skin looks healthy, bright and smooth. I find mariga’s products to be very effective, and good value. Before this, I used a whole range of different things on my skin – various brands and various products. These days, I only use what I get from mariga, and I am very happy with the results. I first heard about Mariga on a beauty blog and contacted her through her distant client consultation form. She responded quickly and addressed my skincare concerns. As a distant client I find her very helpful if I have any questions. I have travelled down to her salon a few times where I can get a more detailed skin analysis done and indulge in some of her facials. Previously I had spent(wasted) a lot of money on different skincare products. Mariga has helped me find a skincare routine that works for me. I would highly recommend Mariga and her products. have been using 5 skin essential products for the last 3 months. Since i had a skin consultation with Mariga. When i had my consultation withMariga she discovered that my skin was very dehydrated, red patches on my cheecks, within a month of using the products i could see a major improvement in my skin. I have been attending Mariga for just over a year now. I have suffered from acne and dull skin all my life but at 29 I found my skin was getting progressively worse to the extent that I would not leave the house without makeup. Since starting Marigas skin care regime my skin is noticeably brighter, smoother and clearer. I recently had a baby and I am now starting a course of peels to help with the scarring and acne. Although I have only had one peel to date the change in my skin is phenomenal. After years of using harsh acne products, various types of the contraceptive pill, duac cream, minox, dalacin t solution (to name a few) and countless over the counter acne treatments and facial cleansers I have finally found a regime that works for me. I am looking forward to continuing with my peels and seeing the improvement in my skin continue. 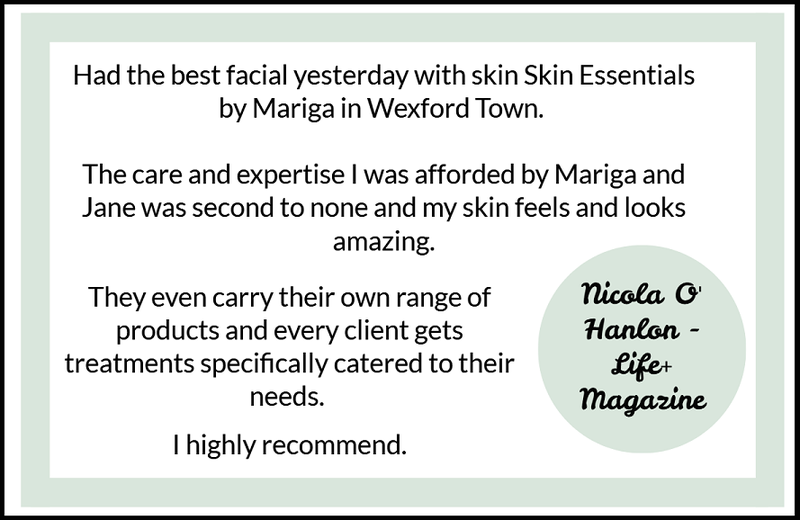 I would definitely recommend a visit to Mariga whatever your skin type is her knowledge and enthusiasm for what she does is fantastic and without doubt she will have your skin glowing! I started used Skin Essentials over a year ago and am delighted I did so. I previously spent a lot of time and money on so many products and nothing seemed to work for my skin. Mariga gave me great advice, was very thorough and responded quickly. I really felt like I was not just a number. I, as a long distant client, found the service excellent and will hopefully go down to Wexford some day to Skin Esstentials. I am very happy with the routine Mariga has outlined for me and it works. I look forward to placing my next order for her skincare products. Highly recommended! I’ve been using marigasheedy skin care products for the last few months and very impressed with Mariga and her products. I did the long distance consultation in which Mariga responded with a very concise and honest reply. I also met Mariga shortly after this and was very impressed with everything she told me. Her products are impressive, Mariga is also great for liasing with if you have any queries and questions. My skin has much improved and feels great. Can’t recommend her highly enough. Since I have become a customer of yours, I have been so happy with the service. Every email I send is responded to immediately with great advice and follow up phone call if needed. I am so happy with the products and each one I try makes an even better improvement to my skin. 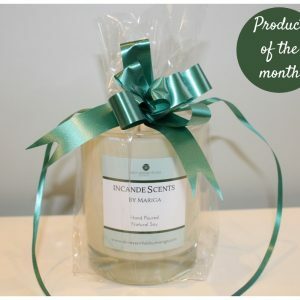 A tiny bit of product goes such a long way and if you say the product will last 4 months, it lasts 4 months. This skin care range is the best I have come accross so far and I intend to stick with the products. Thanking you for your fantastic service. I have been using Skin Essentials for over a year now. I use the distance client option as i am unable to travel to the clinic. From the first day i emailed Mariga, i have been more than impressed with her. Straight away i had confidence in her. I had suffered for years with spots, uneven skintone and general irritation. As Mariga advised, it took a while to see any results but by sticking with it, i gradually began to see results. And, i have never looked back. I am so thrilled with my skin now, its a world away from where it was. And Mariga herself is just as impressive as her products. Always available, extremely knowledgeable and helpful. And I have saved a fortune by now having no reason to visit the beauty aisles! Some day i will make it to the salon for a facial. I first heard Mariga on the radio and am so glad I tuned in that day! After going for a consultation and hearing all the practical advise she had to offer I can truly say that my skincare routine has changed for good and so has my skin! No more chopping and changing products for me, I have my forever routine now and my skin has never been better. After years, of trying hundreds of different skincare products, it was such a relief to find Mariga’s range. I have been using her range exclusively for almost two years and my skin looks and feels amazing. I get a facial with Mariga every 12 weeks and each time, she does a comprehensive analysis of my skin to ensure that I am using the correct mix of products and to address any seasonal changes etc. It is so liberating to know that I have found everything that I need to keep my skin in perfect condition and I no longer need to continue the endless search – Mariga offers it all! I would highly recommend her products and her facials to anyone and have even converted my Mum who was a life long soap and water lady! Thank you Mariga. I have been using Mariga’s products for a year now. Before that, I had tried every skincare range from the supposedly ‘natural’ ones to the very expensive ones. My skin was never that good, sometimes dry, sometimes oily, spots etc. It took a while to get the right combination of products from Mariga as I live too far away to call in for a skin analysis (unfortunately!) but she was always at the end of the phone with advice and answers to all my questions. 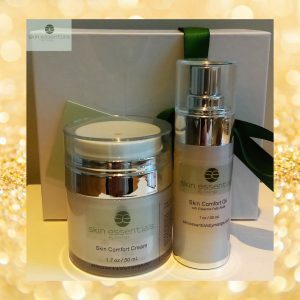 I absolutely love the products, my skin looks and feels amazing and I never ever consider trying other skincare products – I have definitely found my holy grail in skincare! The skin essential facial by Mariga was probably the best facial I have ever had! My skin felt completely rejuvenated and hydrated, I noticed a difference in the appearance of my skin after the very first treatment! I will definitely treat myself to another facial and would highly recommend Mariga to others. I’ve been using Mariga’s products for 6 months now. Improvements didn’t happen overnight but with persistence and following her excellent advice my skin has gotten much better. I get the ‘distance’ analysis done and she always gives comprehensive feedback considering factors like current skincare, lifestyle and how much you can afford to spend. For reference, when I started my skin was very dehydrated (and I thought very oily) and blemished with persistent red and deep spots. Now my skin seems more normal and hydrated with just the occasional spot popping up. Like Aine, I find the Lipid Repair Concentrate fantastic! Since going to Mariga I use her sunscreen every day. I never thought I’d find a sunscreen that didn’t feel greasy or sting my eyes. Most amazing of all I can wear makeup with it! I also use the lipid repair and have found that it has definitely reduced the redness on my nose and chin. Best of all is that the skincare “routine” is simple and that suits lazy people like me! I definitely recommend Mariga and her products. Such a professional service. Mariga always returns calls and emails on the same day and always gives me a lot of time. My skin has cleared up a lot over the last months of using her products and following her instructions closely. she always keeps in touch to ask me how my course is going. I feel very safe in her hands. I have been going to Mariga for the last 4 months now and I can honestly say my skin has never been better. Before going to Mariga I was plagued with a litany of spots and could never seem to get on top of it. 4 months down the line and I cannot be without her products. They are brilliant, and when combined with one of Mariga’s facial peels they are even better. Apart from the great products, Mariga herself is what really makes this service so great. She is personable, professional and her enthusiasm and passion for her work shine through. I always look forward to going to see Mariga and her products are already top of my Christmas wish list! I cannot wait to get back for some badly needed TLC by mariga,she provides way more than just the best facial ever,here you feel truly cossetted,there is no rush no hard-sell no crap just treatments and products that work.Mariga is a very special lady so intuitive and passionate about her work time with her is a delight.I would not be without her products now especially the advanced protection and overnight repair cream simply brillant-THANK YOU. 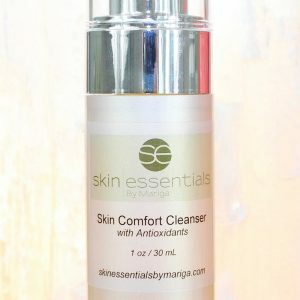 I have been using mariga’s products for over 6 months, I started with the cleanser and have since used it exclusively- bar if I stay in a friends house !I find it really good, and I wear makeup for work everyday(unfortunately! )and it cleanses so well.I was sceptical at the start, being used to big tubes of cleanser, scented bubbles etc! 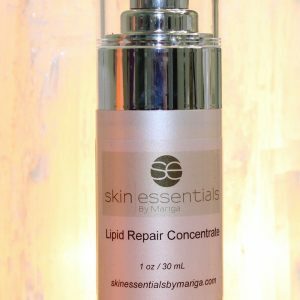 I have recently out of the blue experienced red blotches and dry spots on my chin and the lipid repair concentrate is my lifesaver! I really like the products, and only for I live so far away I would love to get a facial treatment from Mariga’s clinic.